Any Director who has served with distinction for at least two terms may qualify for election as a Director Emeritus by a majority vote of the Board of Directors upon the Director's retirement from the Board. Directors Emeriti shall be expected to continue serving the mission and goals of the Foundation by serving as spokespersons and mentors and by participating on committees as needed. They shall be invited to meet, without vote, at least annually with the Board, shall receive periodic reports on the Foundation's activities, and shall be listed on the Foundation's Annual Report and website. Carolyn Schroeder is a homemaker, nurse, and community volunteer. She and her husband Clint, an attorney, have lived in Edina for over 45 years, and their five children attended Edina Schools. Carolyn has served as Board Chair of the Minneapolis Children's Hospital, the Minneapolis Children's Foundation, and the University of Minnesota School of Nursing Foundation. Bonnie McGrath founded and managed a legal software training business for 20 years. She and her husband Lee have been Edina residents since 1993. They are active in the Country Club Neighborhood Association. Dennis Maetzold served on the Edina School Board for six years before being elected to the City Council in 1995 and then as Mayor from 1999 through 2004. He is retired from M & I Bank, and he and his wife Linda live in the Arden Park Neighborhood. They have been Edina residents since 1972, and their daughter graduated from Edina High School. Dennis served as Chair of the Southdale YMCA's 2005 Y Partners Campaign and on the Board of Volunteers Enlisted to Assist People (VEAP). Frederick S. Richards has lived in Edina since 1945 and married an Edina Morningside High School classmate. He was the Mayor from 1988 to 1997, after having served on the City Council for the prior 14 years. Fred has also served on the Edina Park Board, the Housing and Redevelopment Authority, and the Environmental Quality and Transportation Commissions. Fred practiced law for 25 years and is now the President of General Office Products. He and Nancy have three children, two of whom now live in the community with their families. Fred notes that the third child may never realize paradise here in Edina, but we still love her. Geof Workinger and his wife Betty are also long-term Edina residents (since 1968) and live in the Harriet Park neighborhood. Geof retired after a career in human resources and employee benefits that included work for Prudential, 3M, General Mills and Bemis Company. He has served on both the Edina Planning and Human Relations Commissions, and as chair of the latter. He has also provided volunteer service and leadership to the Storefront (Youth Action) Group and the Suicide Awareness Voices of Education (SAVE). Brad Beard served on the ECF Board for nine years, from 2006 to 2015, and was the Chair of its Human Resources Committee. He had a long career with Fairview Southdale Hospital and Clinics that included work in various administrative capacities and an extended term as its President. He is a member of the Rotary Club of Edina and has served on the Edina Chamber of Commerce Board of Directors. He and his wife Gwendolyn live in northwest Edina, and they have three children. Bernie Beaver moved to Edina shortly after finishing law school and put his undergraduate degree and CPA status to work with the accounting firm of Bouley Heutmaker Zibell & Co., from which he is now retired. He joined the ECF Board in 2009 and served for another six years, for most of that time as Treasurer and Chair of the Finance Committee. Bernie is a member of the Edina Morningside Rotary Club and lives in the Fox Meadow neighborhood with his wife Patricia. They have two daughters and six grandchildren. Ron Erhardt is a self-employed financial planner with a long record of public service to the Edina community. 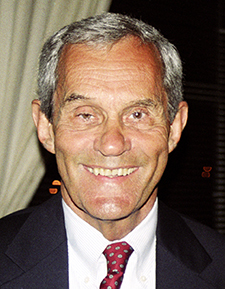 Elected to the Minnesota House of Representatives in 1990, Ron served Edina for 11 terms and received many awards for his leadership on transportation matters. He has served as Chair of the Edina Chamber of Commerce Government Relations Committee and on the Southdale YMCA Board of Management. He has academic degrees from the University of Minnesota and the Carlson School of Management. Ron lives in Edina's Sunnyside neighborhood. Scot Housh is an insurance broker and the President and CEO of Willis of Minnesota. He was raised in Edina and graduated from Brown University. Scot served on the Edina City Council from 2001 through 2010 and joined the Foundation Board in July 2011. He has served on the Be The Match Foundation Board and as Co-chair of the Minnesota Bid Committee for the 2020 College Football Playoff Championship Game. He lives in the Country Club neighborhood with his wife Susie. Maxine Wallin is a long-time resident of Edina and one of our community's leading philanthropists, continuing a strong tradition she began with her late husband, Winston Wallin. The Wallins began a college scholarship program in 1992 for students at South High School in Minneapolis who come from low- to moderate-income families. Maxine attended Macalester College and the University of Minnesota. She became a librarian at the University of Minnesota and a medical research librarian while the family lived in Utah. Maxine has four children and 13 grandchildren. She lives in the Braemar area of Edina. Richard Olson has a strong record of volunteer service to the Edina community–as chair of the Veterans Memorial Committee, as chair of the Foundation’s 4th of July Parade from 2009-2012, and in board leadership positions for the Edina Soccer Association and the Edina Basketball Association. He is a graduate of Gustavus Adolphus College, the University of St. Thomas (M.B.A.) and the William Mitchell College of Law. Richard lives in Edina’s South Harriet Park Neighborhood with his wife Susan and two children.